Now I know why it’s called a Hoagie! 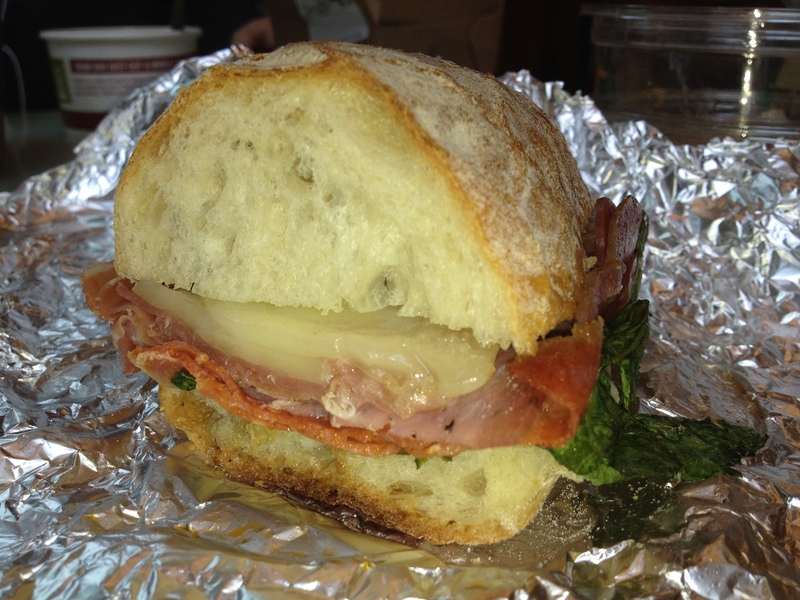 I had no idea why a sandwich was called a Hoagie when I had it at Whole Foods a couple of months ago (see this post). Yesterday, while on a flight back to NYC from San Juan, Puerto Rico, I found time to catch-up on some much-needed food related reading. “Far Flung and Well Fed” The Food Writing of R.W. Apple Jr. is the book that gave me an insight into why the sandwich is called a Hoagie. The author R. W. Apple Jr. was a food writer for the New York Times, and he reported on politics and war as well. I am enjoying reading this book and will share more of what I learn. Where can you get the best Hoagie? Here are some more explanations for the origin of the name “Hoagie”. More about R. W. Apple Jr. here and here. Meanwhile, watch out for some posts on some fantastic and not-so-great eating experiences in Old San Juan, Puerto Rico and enjoy a hoagie or two if you can!! ← How good (or bad) can Dominican tapas be?